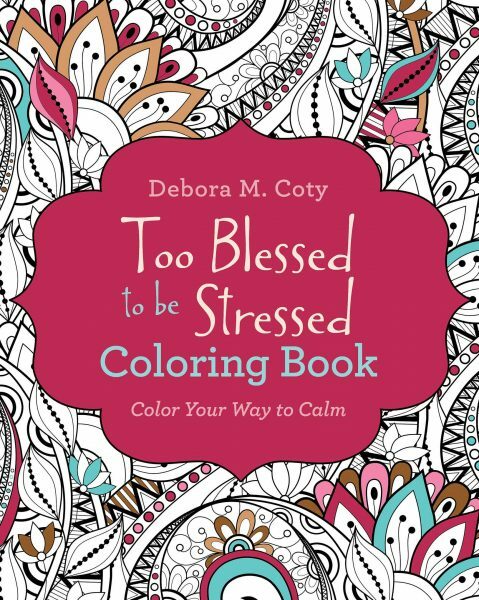 Color your way to calm with the delightful Too Blessed to be Stressed Coloring Book from popular inspirational humorist, Debora M. Coty. Enjoy 45 unique images on quality stock will comfort and inspire through beautiful design, refreshing thoughts, and scripture selections. The backs of each generous 8×10 coloring page are left blank—perfect for coloring with crayons, colored pencils, and markers. Perforated, easy-to-remove pages will enable you to display and frame your creative works of art. The Too Blessed to be Stressed Coloring Book makes a great gift for anyone who enjoys a touch of inspiration alongside their creativity!